﻿For weeks I have been saying I needed a new book to read, something other than a law school book. Well, on this past Monday, while driving to school, I was listening to the Steve Harvey Morning show. I NEVER listen to the Steve Harvey Morning show (I used to, the summer I interned in Washington, D.C., good show). I only happened to listen to the show this paticular morning, because I was driving a rental car and for some reason I had not changed the station. 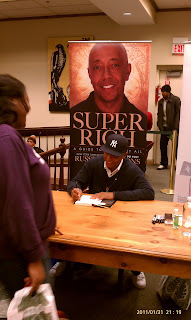 However, on this paticular morning, Russell Simmons was a guset, and they were discussing his new book, SUPER RICH. I found the concept of the book to be intriguing. Russell discussed the notion of being "Super Rich", as a state of mind where you are truly happy and want for NOTHING!! He spoke about the power of giving. He made a statement that "Givers are the best Getters", meaning those who give and give happily attract others who in return want to GIVE to them. Who doesn't like a cheerful giver?? Now I am a true believer that "the more you give, the more He gives to you". Russells concept of the book reminded me of a favorite book of mine, which was also a New York Best Seller, by Former President Bill Clinton, entitled "Giving". In this book Clinton discusses how you can always give back to the world, not only through money, but through your time and your gifts. His book shared the stories of people, young and old, all over the world that demonstrated their gift of giving through charities, foundations, time, community service, etc. Russell's discussed the concept of the book in terms of applying a SUPER RICH mindset in all your relationships, whether it be in love, work, spirituality, friendship, etc. From what I read so far (during the two hours I waited in the bookstore for an autograph copy), Russell suggest that by working hard on the things you are passionate about and then giving the product of that work away (sharing it with others), you will begin to gain recognition for your craft and the possibilities will therefore become ENDLESS!! Sounds good right? I can atest to what he is saying. TalkstillCheap.com has done some amazing things this past year, just by me sharing with you topics that I am passionate about. There will be a follow up to this post, once I finish the entire book! I would love to start a book club, but at this moment I can not be totally committed. 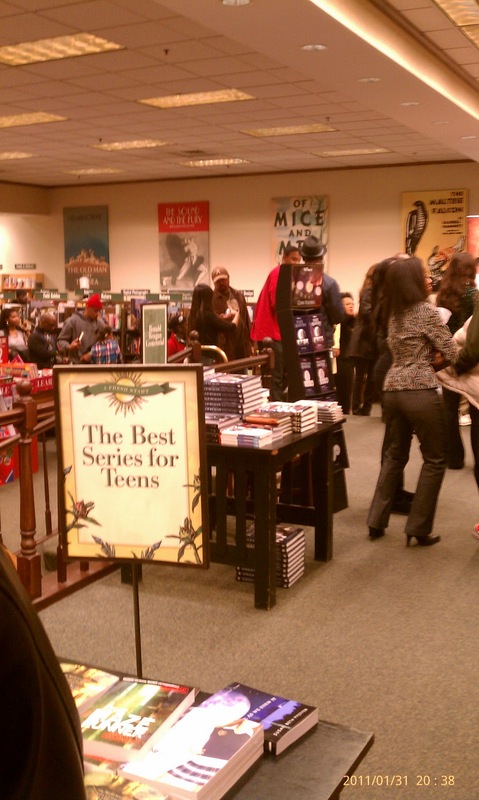 However, I do encourage you to go out and buy the book ($22) and share your reviews here with me! !